The Sugarbush Inn is located along the Sugarbush access road, about a mile from the base of the resort. This charming and quaint hotel offers 46 gracious guestrooms that include private bath, bell service and 24-hour front desk staff. This property also includes continental breakfast for guests. 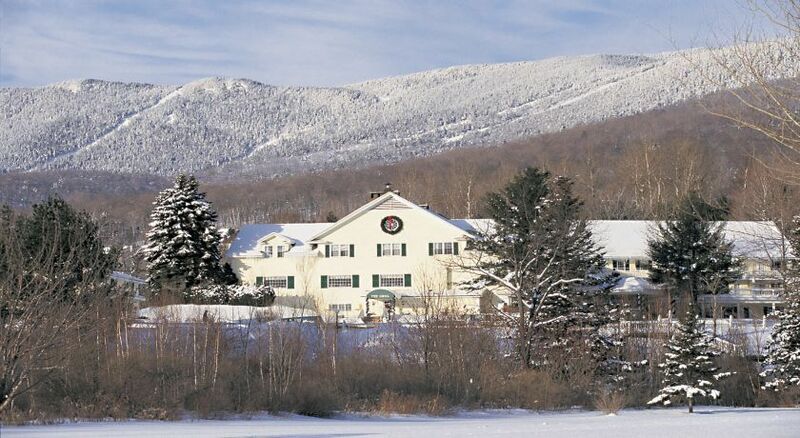 Guests of the Sugarbush Inn will enjoy complimentary use of the Sugarbush Sports Center that includes an indoor pool, hot tub, and exercise room, as well as indoor tennis, racquetball and squash courts. Enjoy apres-ski in The Grill from 4 PM to 7 PM on Saturdays and some Holidays (TBD). Relax in the library, or by the fireplace, and don't forget to include a stroll to the Willow Pond outside. Sugarbush provides a free daily shuttle from the hotel to the lifts, and an evening shuttle provides complimentary transfers to local restaurants, bars and the Sugarbush Sports Center (available Saturday, Sunday, and during holiday weeks).